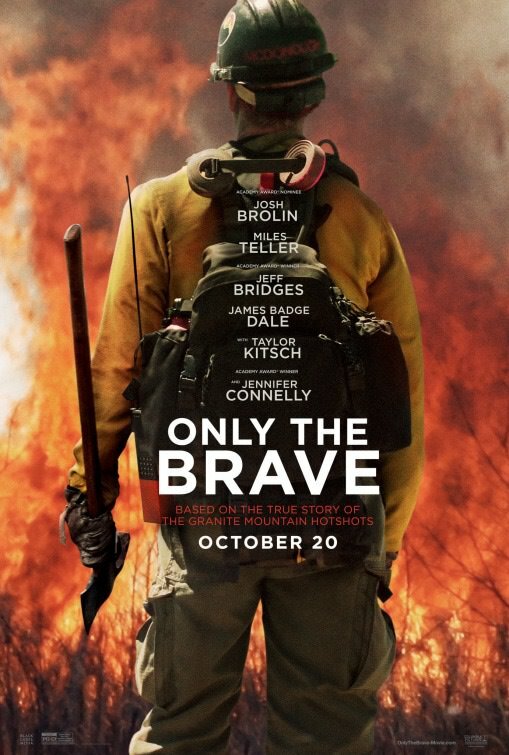 Based on the GQ article No Exit written by Sean Flynn with the assistance of fellow screenwriters Ken Nolan and Eric Warren Singer, Only the Brave is an extraordinary tale of bravery, courage and heroism, illustrating the eternal battle of Man Versus Nature. Oblivion director Joseph Kosinski using the cinematic motif of a grizzly bear running through the forest engulfed in flames, Only the Brave is a remarkable film held together by solid acting especially by Oscar nominee Josh Brolin (Milk) and Oscar winner Jennifer Connelly (A Beautiful Mind). 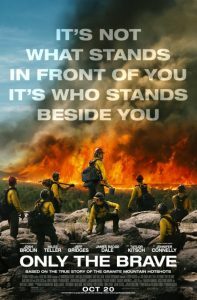 Set in the North American summer of 2013 and focusing on the small town of Prescott, Arizona near Phoenix, Only the Brave follows the story of a group of municipal firefighters that are deployed to help fight runaway forest fires in the canyons and mountainous regions in Arizona. At times, sublime and dangerous, all the men realize that their jobs are extremely risky fighting unpredictable fires which can engulf entire forests in a matter of minutes depending on the wind speed and air temperature. 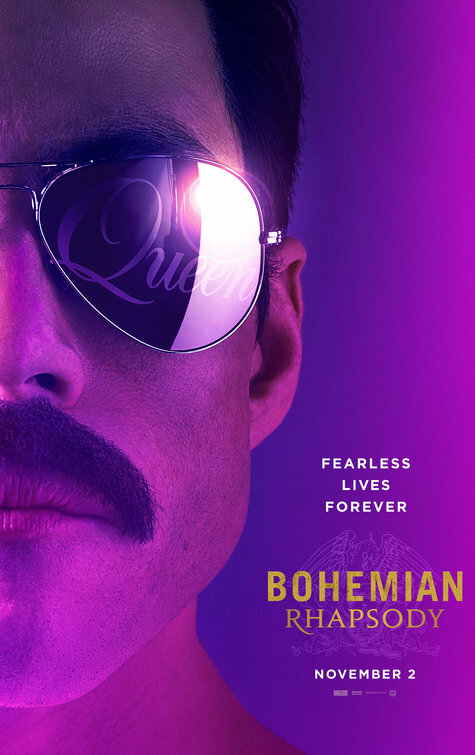 Brolin plays Eric Marsh, supervisor of the Granite Mountain Hotshots who has to look after a team of 18 men and train them into fighting one of nature’s most unpredictable beasts: wildfires. Marsh takes a chance on Brendan McDonough, a recovering addict superbly played by rising star Miles Teller (War Dogs, Whiplash) while also dealing with his own relationship issues with his headstrong wife Amanda, a standout performance by Jennifer Connelly. To add gravitas to the cast, Oscar winner Jeff Bridges (Crazy Heart) plays Marsh’s mentor Duane Steinbrink. James Badge Dale (The Departed, The Walk) plays Marsh’s deputy Jesse Steed while Taylor Kitsch (Savages, Lone Survivor) plays McDonough’s friend and fellow firefighter Christopher MacKenzie. What is most impressive about Only the Brave is the haunting cinematography by Oscar winning Chilean cinematographer Claudio Miranda who won for Ang Lee’s Life of Pi. 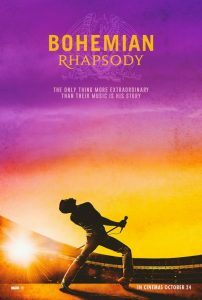 Cinematically this film is excellent from vast aerial shots of the dramatic Arizona topography to the inner anguish of the team’s social dynamics as they navigate their own fears and dreams in light of a grueling occupation which seldom takes survivors when the fires rage out of control. Tron Legacy director Joseph Kosinski really does his best work with Only the Brave assembling a muscular cast to tell a robust narrative filled with searing bravado. 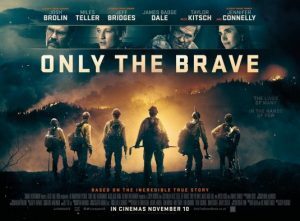 Only the Brave gets a film rating of 8 out 10 and is highly recommended viewing for those that enjoyed Lone Survivor, Dunkirk and the 1991 Kurt Russell film Backdraft. Director Bryan Singer’s latest film forms the conclusion of a prequel trilogy. X-Men Apocalypse is a pastiche of 80’s paranoia even though the main villain Apocalypse originates from Ancient Egypt and is set upon decimating the world of man and mutants circa 1983, having risen out of a gold pyramid in modern day Egypt and decides annihilation is in order. 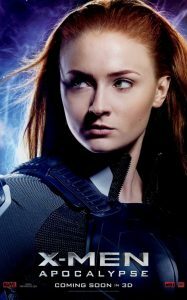 Reassembling much of the cast of X-Men: First Class, X-Men Apocalypse stars Jennifer Lawrence (The Hunger Games Trilogy) as Raven/Mystique, James McAvoy (Victor Frankenstein) as Charles Xavier, Michael Fassbender (Macbeth) as Magneto, Nicholas Hoult as Hank McCoy/Beast and Game of Thrones star Sophie Turner as a young Jean Grey and Rose Byrne returns as Moira Mactaggert who first confronts the devastating power of Apocalypse in Cairo and alerts Charles Xavier and his band of mutants to the imminent danger. Despite some of the mutants not wanting to be drawn into another conflict, they soon all bandy together when they realize how dangerous Apocalypse is, in his unrelenting quest to destroy human civilization circa 1983 and along with that eighties world, the parallel community of the mutants. 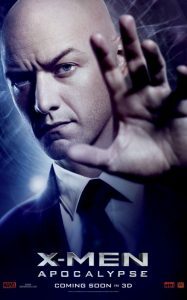 X-Men: Apocalypse is more mutants versus a more formidable mutant, than man vs mutant, although like always Magneto has several changes of conscience especially after seeing his young wife and daughter accidentally killed in a Polish forest. 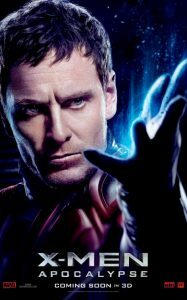 Soon Erik Lehnsherr aka Magneto unleashes all his anger and becomes the perfect ally for Apocalypse’s annihilating antics. 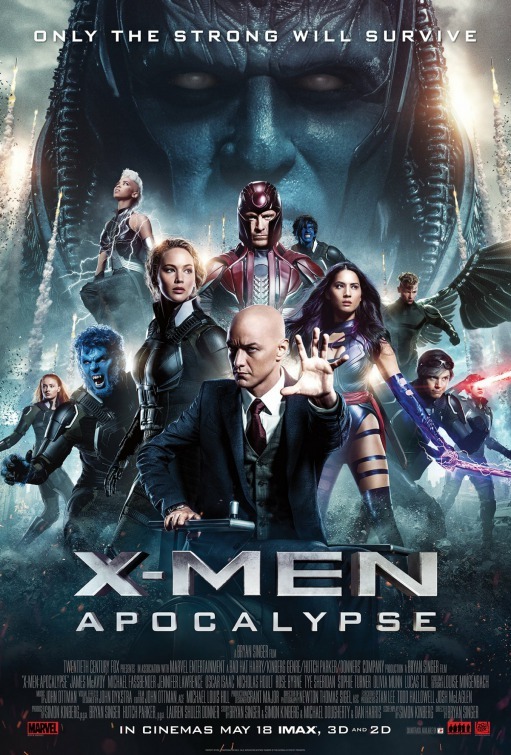 Much of the action alternates between America, Poland and Egypt and whilst X-Men: Apocalypse does not have that some groovy retro feel as the seventies set X-Men: First Class, there are some distinct 1980’s signifiers including a collage of Reagan material, nuclear armament as well as stock images pointing to the last decade of the cold war, where mistrust defined global politics. Bryan Singer knows how to direct such a large ensemble cast even though audiences at times might get a sense of Mutant overload, but then again this is X-Men: Apocalypse and the more superhumans the better. 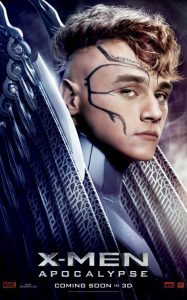 X-Men: Apocalypse is definitely a case of the Unusual Suspects. 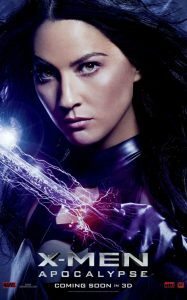 Clearly the cast of this film had great fun making it and the visual effects are truly inspiring especially the Egyptian sequence when the Mutants take on Apocalypse with his band of malevolent mutants including Psylocke played by Olivia Munn and birdman Angel played by Ben Hardy. 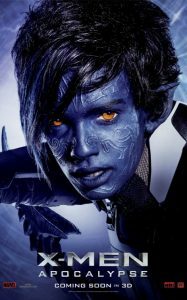 Audiences should also watch out for Tye Sheridan as a young Cyclops and Kodi Smit-McPhee as the turquoise teleporter Nightcrawler, who Mystique discovers in a cage fight in East Berlin. 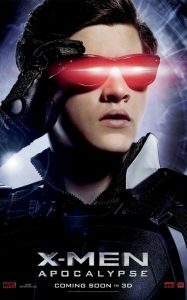 X-Men: Apocalypse is recommended viewing for those that enjoyed X-Men: First Class and X-Men: Days of Future Past, all three films now make up the prequel trilogy. 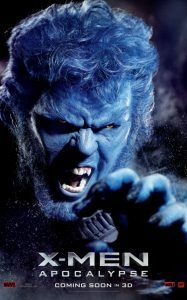 Marvel is certainly milking a lucrative franchise for all its worth and audiences are lapping up the ever expanding mutant universe.